Do you remember staring up at the clouds as a child and seeing shapes or monsters? 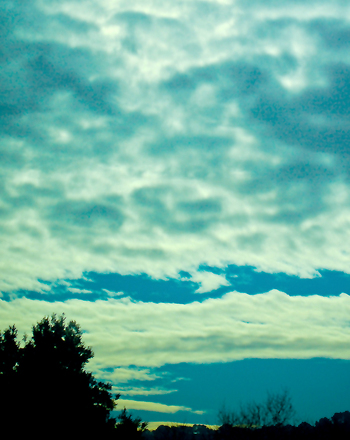 Did your parents ever say "get your head out of the clouds" while you were daydreaming? Well now's your chance to help your kids get their heads InThe clouds! First graders are eager to learn about science, especially when it comes to the clouds. 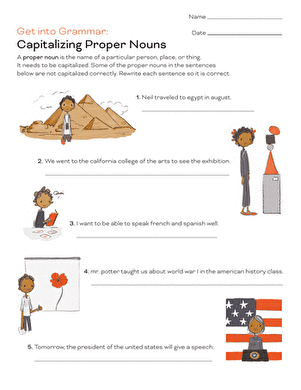 Let your child daydream a little and use those science and writing skills in the process. Pick a sunny day with lots of clouds and blue sky for this activity. Grab a pillow, blanket, pencil, and construction paper and head outside! Have your child spread out a blanket and place a pillow at one end of the blanket. Then lay down, propping your head on the pillow and bending your legs at the knees. This way you can use your legs as a support for your paper and folder to draw on while seeing the clouds. Using your folder (or book), lay your paper on top of the folder. Then look up at the clouds and have your child draw a picture of what she sees. Your child should draw 3 different pictures of cloud shapes, and write one sentence at the bottom of each picture to describe what she thinks the cloud looks like. For example, "This is a huge dinosaur cloud" or "This cloud is pink cotton candy." Next, go back inside and use a table to complete the project. Make your pictures come alive by using your glue to attach cotton balls to the pictures you drew outside of the clouds. Be sure to stretch cotton balls where you saw a cloud that looked like it was streaked across the sky, or make a thick cloud by adding more cotton balls. You can also add colour to the page by tracing your words in the sentence with a colored marker, or by tracing the cloud shape around the cotton balls. Repeat this process for all 3 cloud pictures. Use a hole puncher to place 1 hole on the top left and top right corners of each page. Then use scissors to cut yarn pieces about 6 inches each. Use the yarn to tie the pages together to make a book which opens from the bottom of the page up. 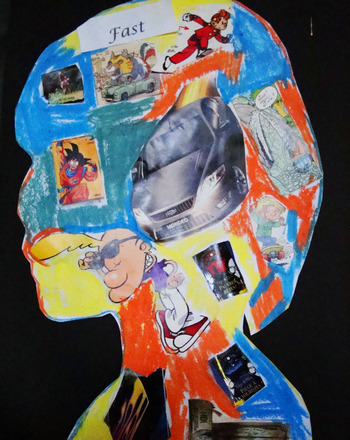 You can also help your child to create a book cover and a title for the book, such as "Sarah's Cool Clouds!" This is a great way to teach your child the skill of observation and recording for science. It also helps her practise writing and using her imaginations. So grab your kids and head for the clouds! Go cloud-gazing on a nice day, and use this fun cut-out chart to name the types of clouds you see! Next time you visit the pumpkin patch, be on the lookout for this spooky fellow. Is he a scarecrow or is he a man? Either way his pumpkin head is creepy. How goofy can your first grader get? 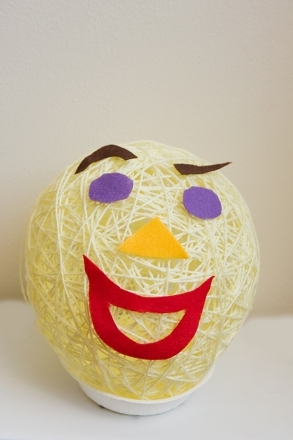 Show her how to use balloons and yarn to craft a collection of silly faces! 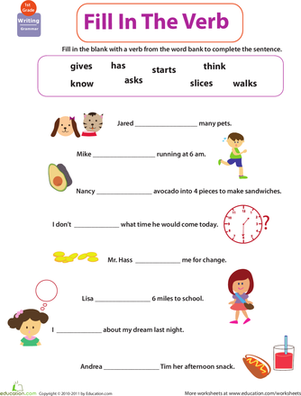 Help your child wrap his head around capitalization and proper nouns with this worksheet that asks him to rewrite each sentence with the correct capitalization. Ever lay on your back to look at the clouds? Now you'll know which types of cloud make up all those silly shapes you see with this diagram. Draw the clouds you spot, and then identify which type they are. 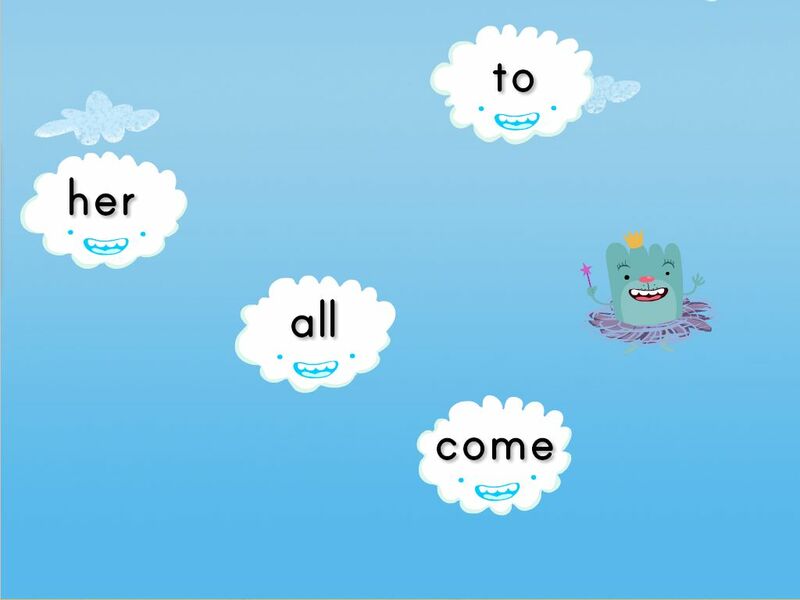 Kids fly in the sky and turn clouds into rainbows by clicking on the sight words. This jet is flying high, soaring through the clouds.